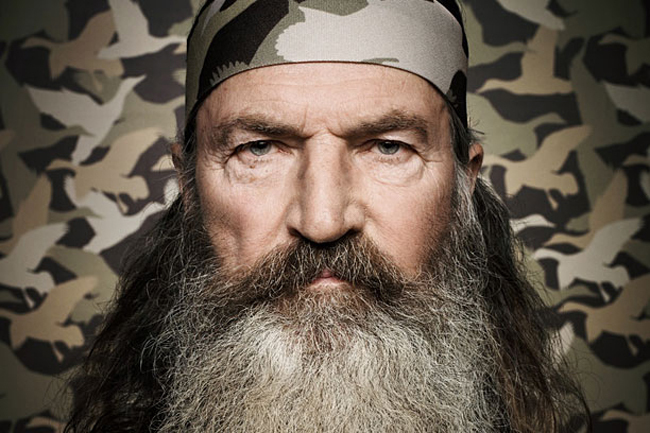 ‘Duck Dynasty’s’ Phil Robertson Fantasizes About An Atheist Family Being Raped And Killed. Well, this is an “interesting” far off, random thought from Phil Robertson about how Atheists might feel if their family was attacked and murdered. In the audio clip below he proposes a scenario that is gruesome indeed. It depicts a father watching his wife and daughters being slaughtered right in front of his eyes. According to Robertson, because they feel that God does not exist, there’s really no right or wrong in this scenario he describes. Take a listen to the audio clip below – is this an appropriate comparison to the life of an atheist? Or is it just some off-the-wall rant?